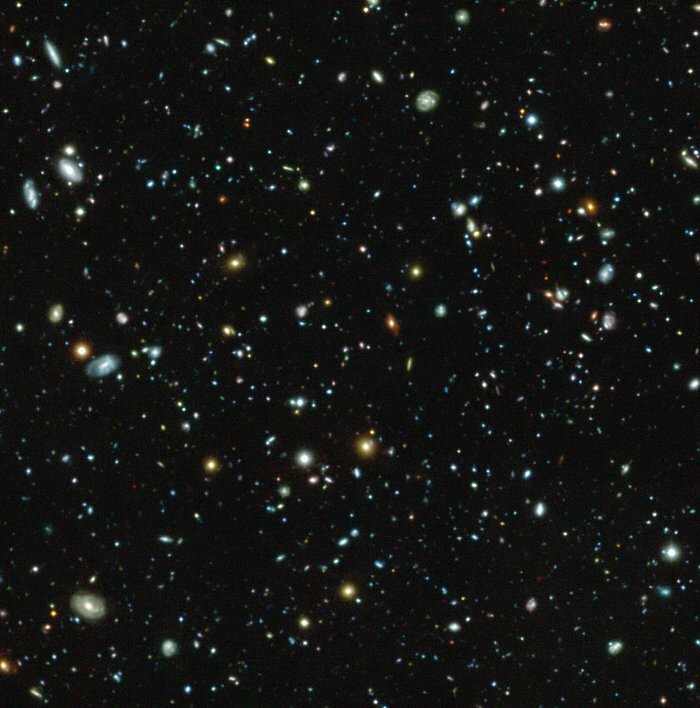 This colour image shows the Hubble Ultra Deep Field region, a tiny but much-studied region in the constellation of Fornax, as observed with the MUSE instrument on ESO’s Very Large Telescope. 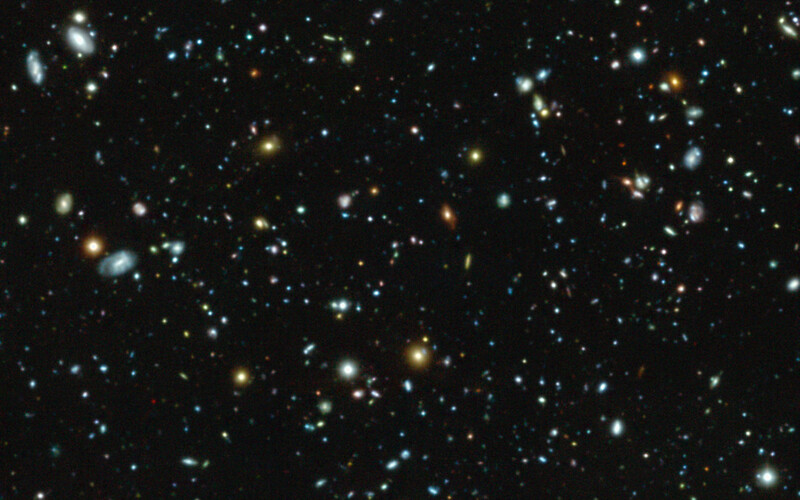 But this picture only gives a very partial view of the riches of the MUSE data, which also provide a spectrum for each pixel in the picture. This data set has allowed astronomers not only to measure distances for far more of these galaxies than before — a total of 1600 — but also to find out much more about each of them. 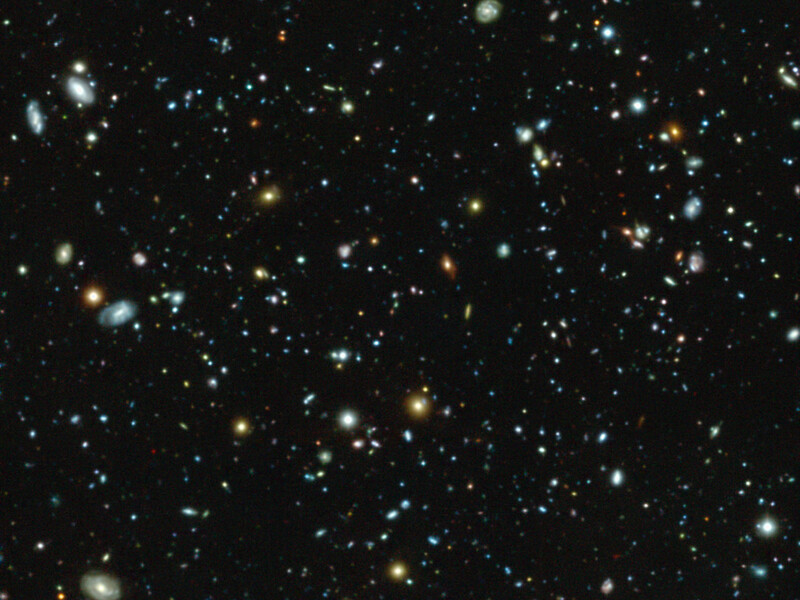 Surprisingly 72 new galaxies were found that had eluded deep imaging with the NASA/ESA Hubble Space Telescope.